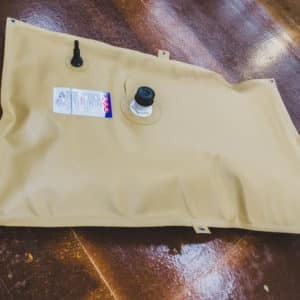 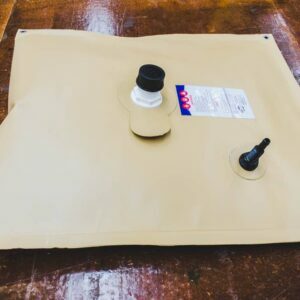 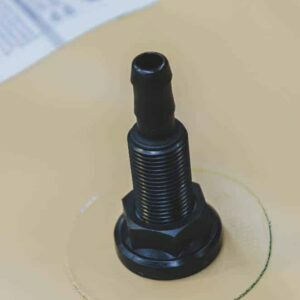 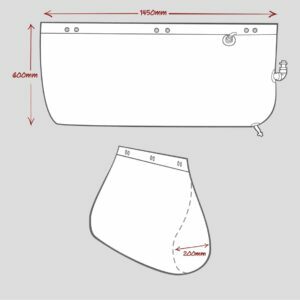 The 280 Litre Box Wheel Bladder comes in our standard 900GSM Grey Material and fitting placement can be changed upon request at no additional charge. 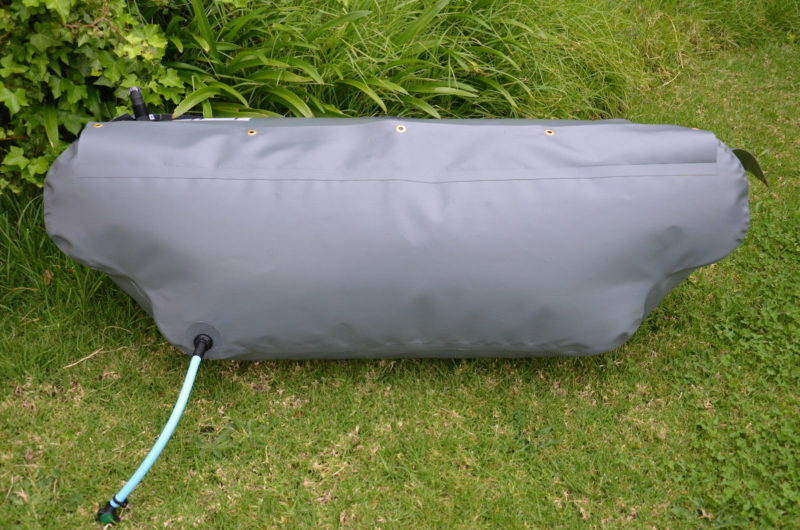 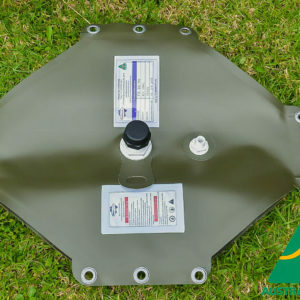 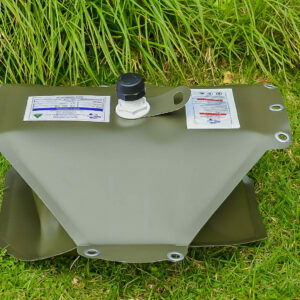 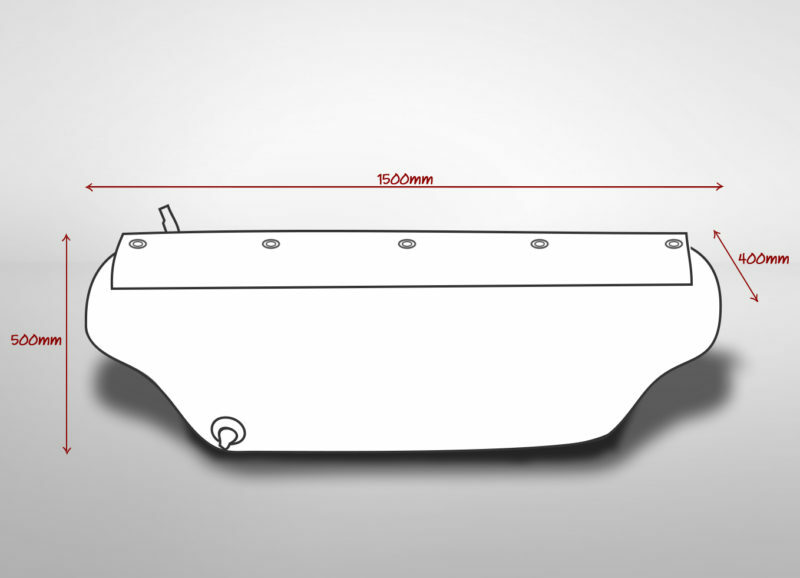 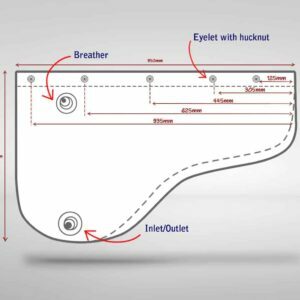 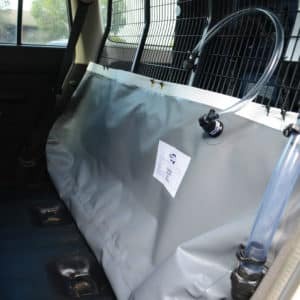 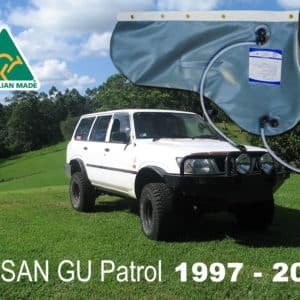 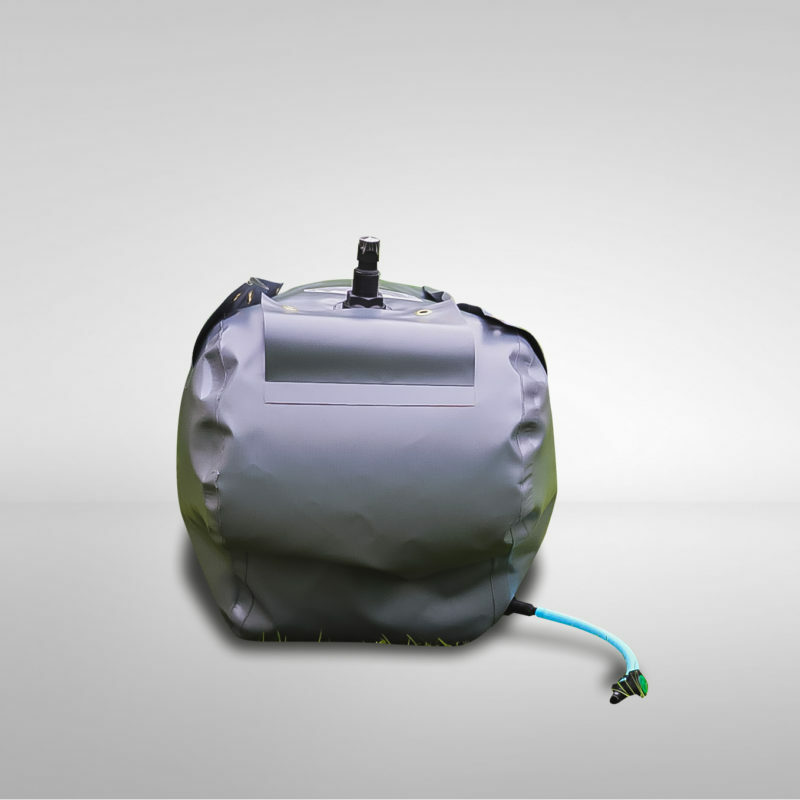 4×4 drinking water bladder tank, specially designed for vehicles with Wheel Arches protruding in the Cargo or Ute Tray. 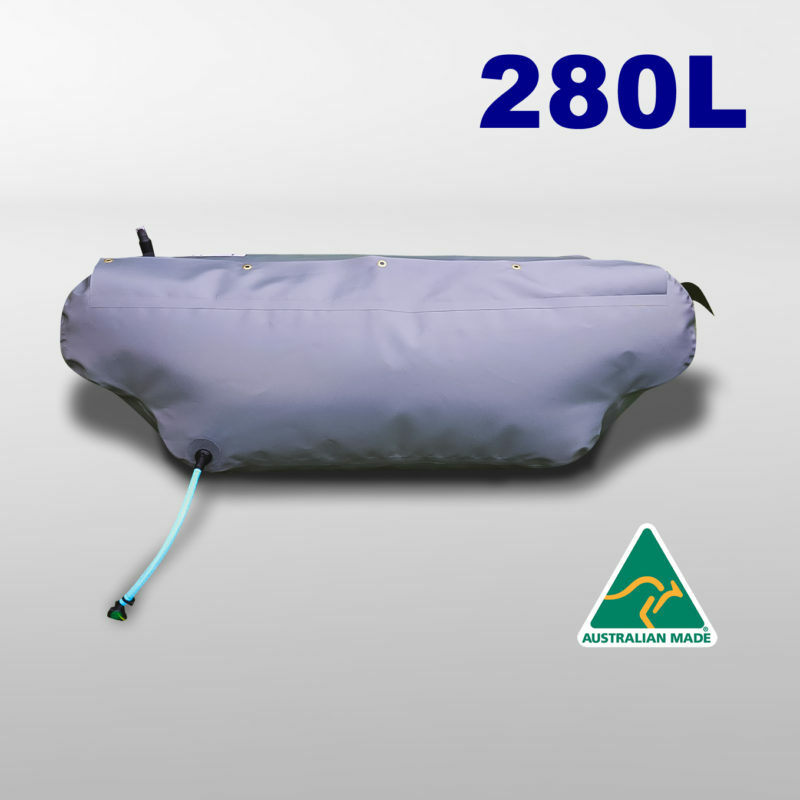 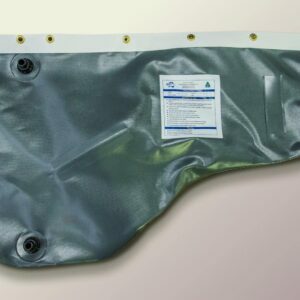 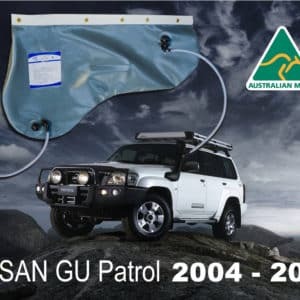 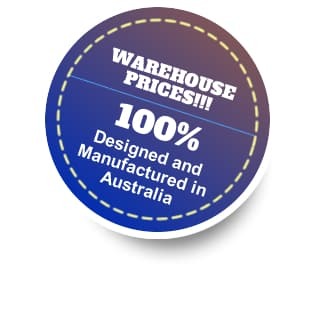 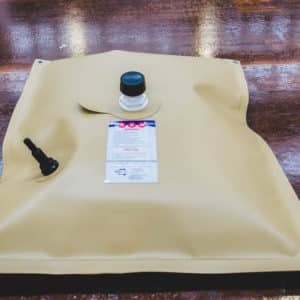 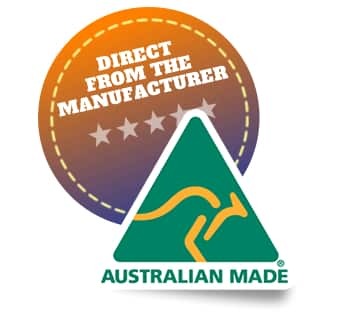 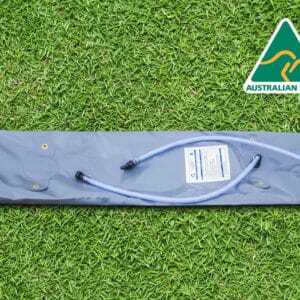 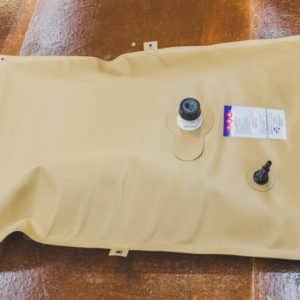 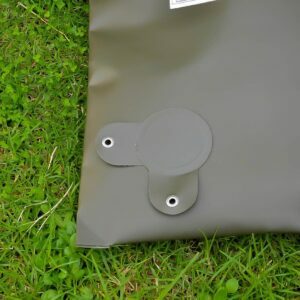 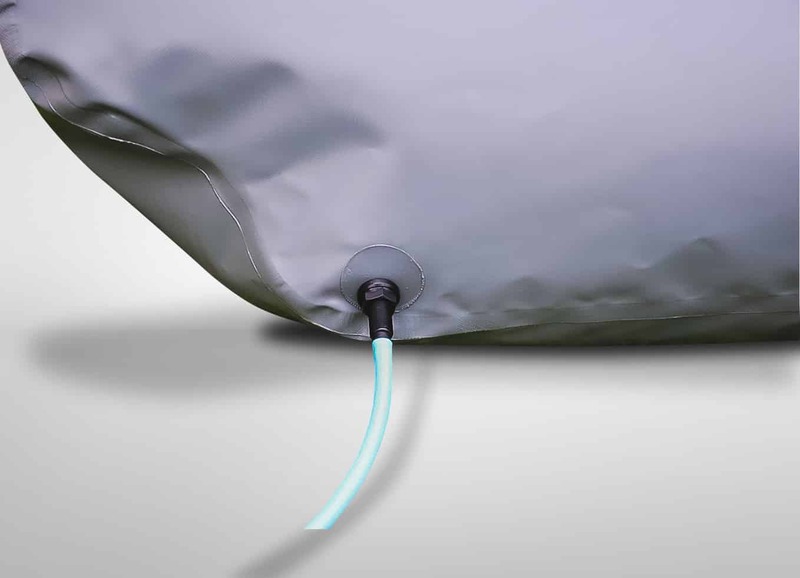 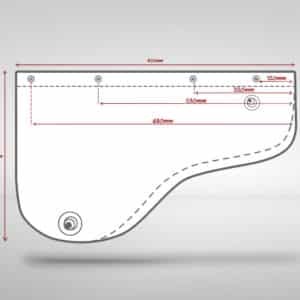 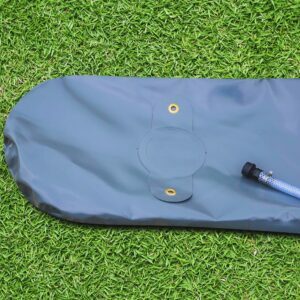 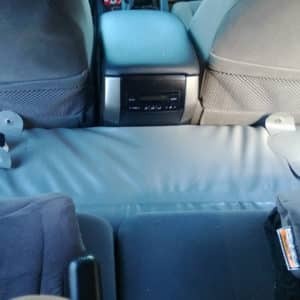 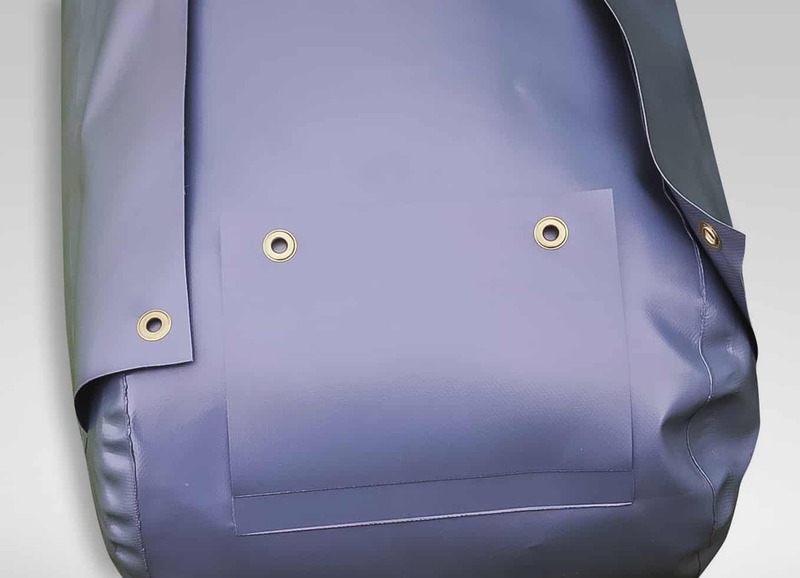 we use finest 100% Australian made PVC fabric (900gsm) for our potable product range. 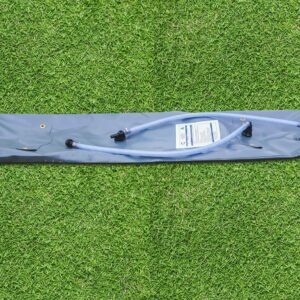 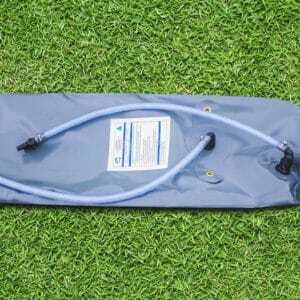 2 hose kit with tap, cap and 3 patches. 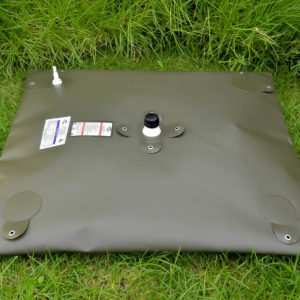 25mm HF, Hot-air over lap welds. 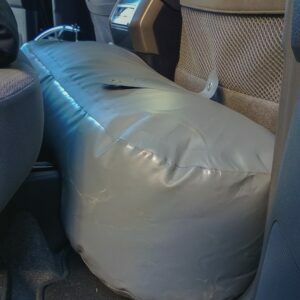 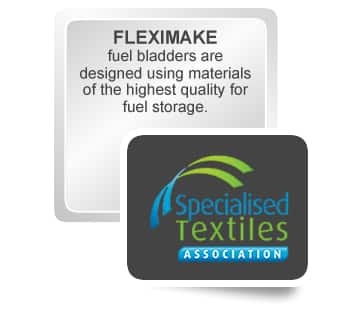 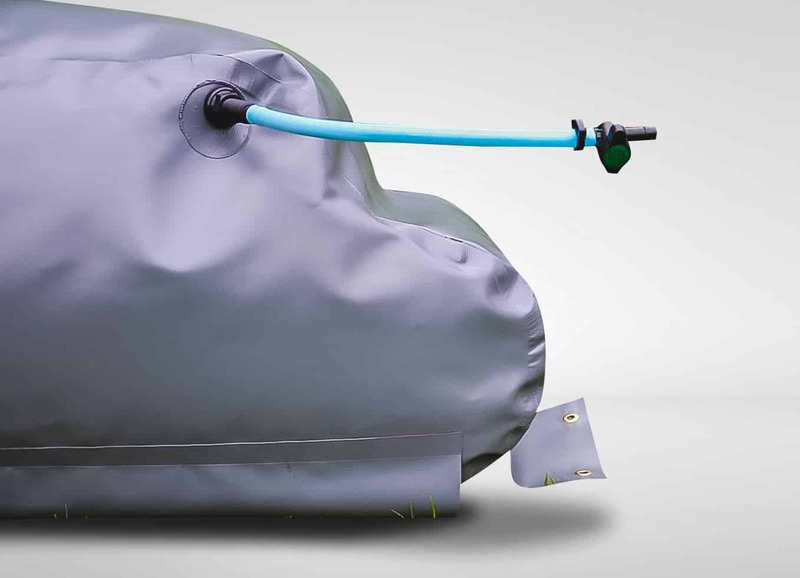 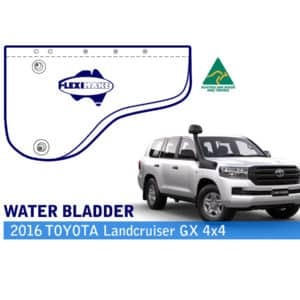 Categories: Flexible tanks & bladders, SUV & 4x4/ 4WD Water Bladders.